It’s an epidemic. We see it all around us. People of all ages are exhausted, stressed, overweight and just unhealthy. Men and women of all ages sacrificially putting everything else in their life ahead of themselves, and the consequences are taking a toll on our health. Work, kids, school, family… there is a never-ending list of demands on our time. It’s hard. We’re busy. We have responsibilities. We’ve made commitments and promises to people that we love, and letting them down is just not an option. We are sacrificing the most important asset that we have, our health. Typically, the first aspect of our health to suffer is our nutrition. just a general feeling of yuckiness. Before you know it, we’re experimenting with fad diets that never give long term results, quick fix weight-loss pills and potions that we don’t feel safe taking, celebrity exercise programs that are so hard we surrender after a week, and nutrition plans that require you to hire a personal chef, rob a bank or quit your job! We are left feeling even more discouraged, frustrated and helpless. We start missing out on things. We start missing out on life, and we don’t want to miss any more. We created Prime Time Health Solutions to bring all the pieces of the puzzle together to help you develop a positive, long-term, health-focused lifestyle change. Personal “one-on-one” coaching that will guide you every step of the way as you accomplish your specific goals. Customized “convenient nutrition plans” that are simple, easy and guarantee results. Exercise and workout programs for when you are ready. Resources to help you through the mental hurdles that have held you back in the past. Our support community offers a positive, uplifting and guilt-free “team” culture so you will not have to do this alone. Encouragement, recognition and celebrations to keep you going strong as you transition into your new health-based lifestyle. Whether your goal is weight loss, muscle gain, increased energy and performance, healthy aging or just to feel better, we have a total solution to make your life the best life. Come join this movement of people taking their health back! Start right now, get back in the game, and make the rest of your life PRIME TIME! Throughout my whole life I never struggled with weight. I never had a problem with food, being overweight or overeating. I never exercised. I was one of the “lucky ones”. I really just “watched what I ate” and it worked for me … until it didn’t!! It all happened right around my 43rd birthday. There really is no other way to describe it, all hell broke loose. All of a sudden, I noticed my clothes not fitting and I started to spend more and more time in the closet because I had “nothing to wear”! I was just exhausted by early afternoon, every day. I remember sneaking afternoon naps to get me through to bedtime. I also started to feel bloated and just wasn’t on my game like I’ve always been. It gradually got worse as time went on. Then came the “muffin top”, and that was the last straw! 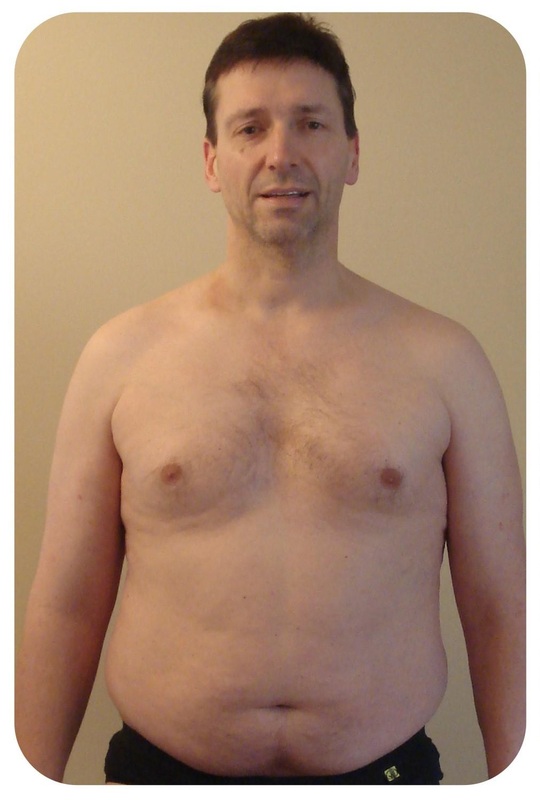 I tried some of the popular diet programs, did them by the book, and just got minimal success. Never enough to continue long term. Then after a month or two, the results stopped. Nothing was working. I was so frustrated! We were headed on vacation in two months and something had to change. FAST! I am so thankful for solutions that work. That vacation was in 2013 and I’m proud to say I did get into that bathing suit and I still can! I went from a size 8/10 to a 4/6 in 30 days! A few months later I was able to slip into this awesome red dress! I’ve kept the weight off since, and I still don’t exercise! I have full-power energy all day long, and I haven’t needed a nap in years! My “A” game is back. I’m present with my family again. I love my closet again! I have a lifestyle now, not a diet. I don’t’ deprive myself of foods that I love. I don’t feel guilty going on vacation or splurging with my husband. I get to play “all in” helping people around the world achieve their health goals and be excited about life! Don’t let your health steal your joy. No matter where you are in life, you get to decide that THIS is PRIME TIME! My weight loss journey began in high school. My largest measurement has always been around my belly. I’ve never been “in shape”, and I wasn’t an “athlete” but I was active. I would classify myself as chronic dieter. I’ve spent my adult life on some program, see-sawing between 180 pounds and 220 pounds. I figured I’ve lost about 400 pounds over the last 20 years, but it was the same 40 pounds over and over again. I have a history of taking the dreaded “before” pictures every time I started a new program, but very rarely took the “after” pictures. Either I didn’t finish the program, or I did it half-assed and complained about the poor results, or I would restart all over again half way through because I went on a binge and blew it. I’ve had a lifetime of diet failures that have piled up over the years, which create additional mental hurdles for me to overcome. I never gave up, though, but as I got older it got harder and harder to get any results doing anything! I even considered going to the extreme programs that involved some “questionable” methods. I was desperate! My self-image was beat down, I didn’t like who I was, how I looked or how I felt. No one knew how much this bothered me, except me. It effected every other area of life. I was frustrated, angry and discouraged. I feel great, lost fat and have a crazy amount of energy. I’m more confident than ever, and achieving goals like never before. Once I realized that I had a sustainable plan to keep the weight off and never go back, then I was super excited to start working out! I realized it’s not a “will power” thing, I just needed a plan! It’s a whole new ball game knowing that any efforts you put in at the gym won’t be sabotaged when you leave. I have customized exercise programs to help me reach my next goal and they are varied enough so I don’t get bored. I have resources to deal with the mental hurdles, like my “body image” and weight loss plateaus. I have systems in place for me to deal with life events, parties, family stuff, weekends with the guys, impulse eating, stress eating and weekend binging. I have a support community of like-minded positive people. “Having a total solution means I can continually improve my health as I get older, which is the opposite of what everyone else is doing! I’ve been following and improving this plan since 2014, and I’ve never looked back. 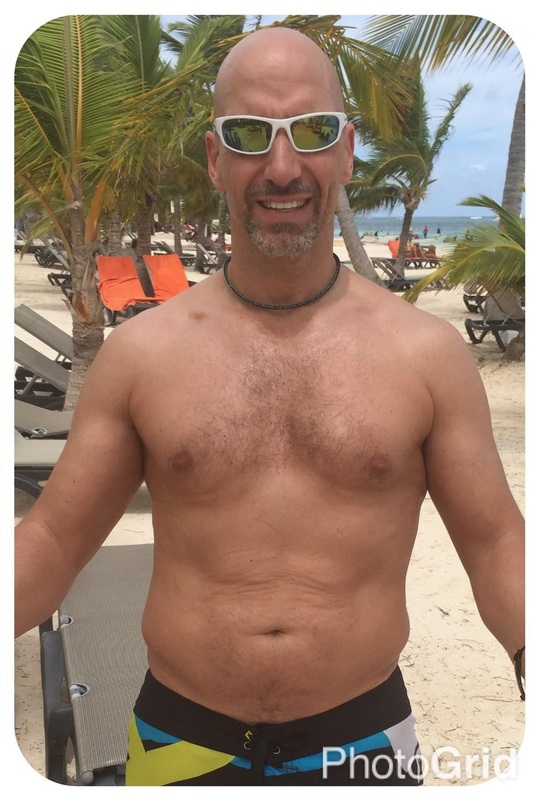 Now, at 50+ years old, I’m in the best shape of my life! I actually walked on the beach with my shirt off for the first time ever! (We call that an NSV = “Non-Scale Victory”) It’s an amazing feeling. I’m on a mission to share these systems and strategies with the world! I want people to experience the “breakthrough” of having a total solution and to know they will never have to look for another program ever!